Probyn Export both imports and exports mouldings that are made from milled wood and MDF, as well as primed, non-primed and finger-jointed lumber. 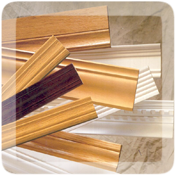 We ship in container load quantities but can mix a variety of moulding profiles together. For a full list of moulding patterns available contact Probyn Export.